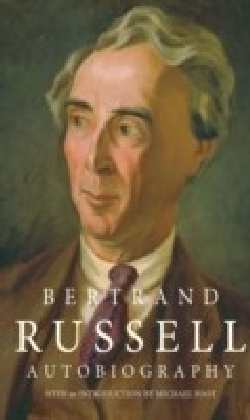 Although there has been a significant revival in interest in Bertrand Russell's work in recent years, most professional philosophers would still argue that Russell was not interested in language. 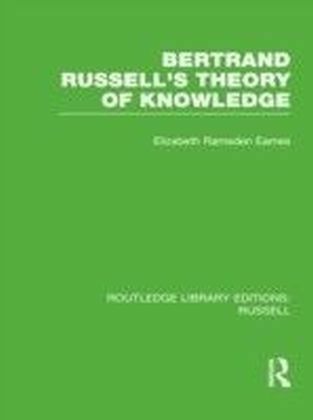 Here, in the first full-length study of Russell's work on language throughout his long career, Keith Green shows that this is in fact not the case. 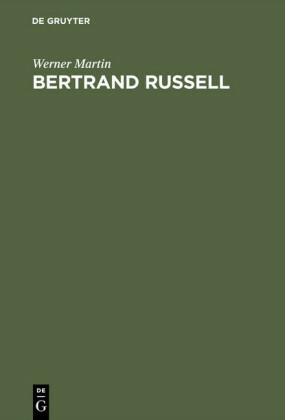 'In examining Russell's'work, particularly from 1900 to 1950, Green exposes'a repeated emphasis on, and turn to, linguistic considerations. Green considers how 'linguistics' and 'philosophy' were struggling in the twentieth century to define themselves and to create appropriate contemporary disciplines. They had much in common during certain periods, yet seemed to continue in almost total ignorance of one another. This negative relation has been noted in the past by Roy Harris, whose work provides some of the inspiration for the present book. Taking those two aspects, Green's aim'here is to provide the first full-length consideration of Russell's varied work in language, and to read it in the context of developing contemporary (i.e. 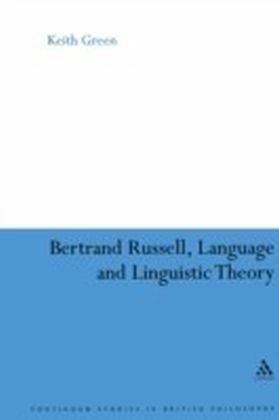 with Russell's work) linguistic theory.The main aims of this important new'book, in 'focusing exclusively on Russell's work on language throughout his career, are to place Russell within the changing contexts of contemporary linguistic thought, to read Russell's language-theories against the grain of his own linguistic practice, to assess the relationship between linguistic and philosophical thought during Russell's career, and to reassess his place in the history of linguistic thought in the twentieth century.' 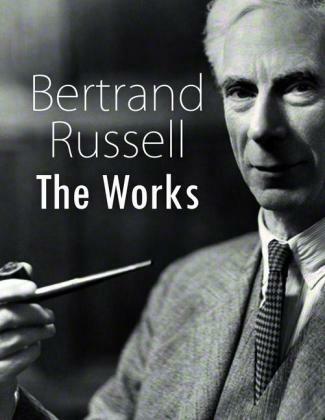 As such, this fascinating study will make a vital contribution to Russell studies and to the study of the relationship between philosophy and linguistics.